Fr. Richmond Nilo of the Diocese of Cabanatuan. Photo from the Catholic Bishops' Conference of the Philippines. 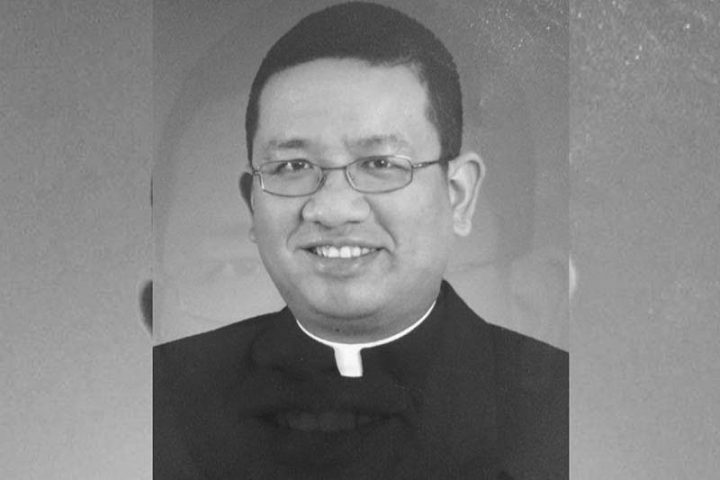 News on the death of another priest Fr Richmond V. Nilo, the Parish Priest of St. Vincent Ferrer Parish in Zaragoza, Nueva Ecija enraged us. He was reportedly shot by two unidentified gunmen through the church’s window while preparing for the Sunday mass. Fr. Nilo is the third priest who died under this administration in just a span of 6 months. First was Fr. Marcelito Paez in December 2017, Fr. Mark Ventura in April 2018 and this June 2018, Fr. Richmond Nilo. We express our indignation over this series of deaths of our pastors and church leaders just as we strongly condemn the huge and ever-increasing number of killings under the Duterte administration. Its repeated public pronouncements disregarding the rule of law and respect for human rights and the recent attacks on the teachings of Christian faith promote this culture of violence and embolden killings even of the religious or clergy. This government as personified by the President is seemingly heartless and lacking in conscience. It is intolerant of critique and silences dissent to achieve what it randomly wants and according to the President’s will at the moment. It has targeted persons and all democratic institutions that represent the voice of opposition, that demands justice and denounces violence committed to the most helpless sector of society. It has no ears to listen to the cry of its people, and has chosen to be ruthlessly blind and deaf to the people’s needs blatantly evidenced by the impact of the TRAIN law, its unfulfilled ‘No to Endo’ promise, its lack of protection for our fisher folks in Scarborough Shoal and its cowardice to defend our sovereign rights from the Chinese intruders. We are a network of development workers, environmental advocates and human rights defenders. We lament that our avowed leaders, the ones we voted for to represent us, is also party to these crimes against the Filipino people. Their public endorsement or lack of action and silence condone this reprehensible situation. We condemn in the strongest sense all forms of killings being perpetrated under this government, its disregard for the rule law and due process and lack of respect for life. Likewise, as a faith-based development network, we are being challenged to speak out against these attacks on our pastors and our faith. The universal declaration of human rights and our Philippine constitution have provided for the freedom to believe and practice religion. Never in recent history do we have a President that attacks the tenet of our religious beliefs in its bid to silence the church from speaking out the truth in favor of those whose rights are violated by this government. We demand justice for the death of our pastors and all those killed under this government’s war on drug. Their right to life and due process are violated. Government and all involved instrumentalities must be held accountable for all these rights violations. No one should be above the law, including the President of the Philippines.